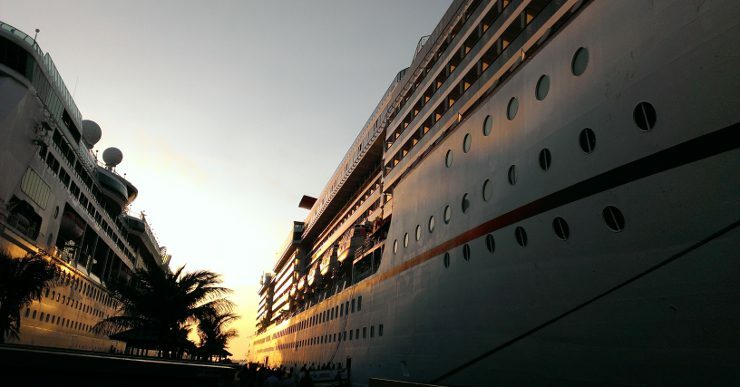 Travelling With Your E-Cigarette: Can I Vape On A Cruise? For vapers looking to take a cruise, most cruise liners have designated areas where you’ll be allowed to vape. Depending on the ship these areas can be either indoors or outdoors, so don’t assume that just because you’re on deck you’re ok to vape. Vaping regulations tend to vary depending on the company you’re travelling with, so make sure to do plenty of research before you set sail to find the right holiday experience for you. Costa Cruises allow vaping in areas such as its cabins and cigar bars, and P&O Cruises allow you to use e-cigarettes inside your cabin and balcony. P&O also allow e-cigs to be used in designated areas but they aren’t allowed in public areas of the ship. Royal Caribbean state that you can use e-cigarettes in designated outdoor areas on the starboard side of the ship with the exception of its Oasis-class ships, although it’s worth noting there aren’t any indoor vaping areas. Carnival currently apply the same rules to e-cigs and traditional cigarettes, although this does mean that you can vape in certain areas of the casino bar. 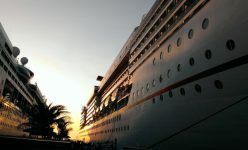 Unlike other cruise operators, Carnival don’t allow vaping in staterooms or balconies and guests who are found to have ignored this policy could face a hefty fine. Before you pack your bags, you’ll want to make sure you’ve planned ahead and taken enough e-liquid to last you the entire trip. There usually aren’t restrictions on liquids in personal luggage on cruise ships as is the case for air travel, although it’s always best to check with the travel company prior to your trip.